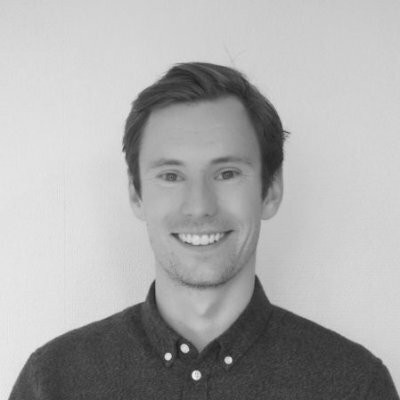 Coen van Hout teaches economics and finance at Avans University of Applied Sciences in Holland. In august, his 200 students were back from their summer break, and Coen was responsible for the "back to school" acitivies for the students. - We wanted to start the year in a fun way where the students could refresh the knowledge that they gained last year. This would bridge the first and second year of the studies. Test year: they spent about 2 hours giving an introduction, dividing the class into groups, and then playing a test year to learn how to run their businesses in the game. Year 1: Strategic planning exercise. The students made a tentative plan of action for the simulation, including what products to produce and in what quantities, what R&D they'd invest in, and whether they'd invest in new facilities to expand their capacities. They also did calculations for product costs, planned their pricing strategy, and made result budgets that reflected their plan of action. The teams would then compare their analysis with other (non-competing) groups, to see how others had solved the problems. Year 2: Competitive analysis. The students made an analysis of how their competitors had performed in the market. They also looked at the competing firms' public financial statements to map what strategic choices they had made. How should they then adjust their own plans based on their competitors' moves? Year 3 + 4: Management accounting. The students exported their P&L statements to spreadsheets and made deviation analysis between their results and their budget. They then determined the causes, and made recommendations for what they would do in the coming years to improve their profitability. Year 5: Economical analysis. The students first reviewed the literature on price and demand, and summarized the key concepts in a presentation. They then applied those concepts to suggest how much they should produce of different products and at what price they should sell the products. Year 6: Investment analysis. 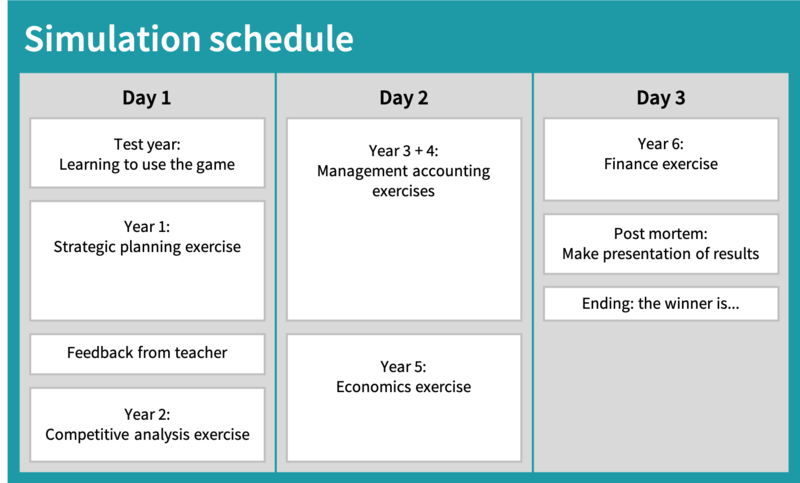 The students would summarize key concepts of financial analysis, and then apply those methods to evaluate their own investments from earlier in the game. Post mortem. The students would summarize all their analysis, rationale, decisions and financial results in a report. They would then reflect on what they might have done differently and why. The entire scheme took 20 hours to execute over three days. - We really believe in simulation and gamification in our business education. The students have a lot of fun while learning with the game. - It took this long partly because I wanted to properly align the simulation within the learning objectives of our programs (the students studied finance and control or accounting). The next time we run the setup I expect to be done with preparations within a few hours. - It depends on what learning goals you would like to reach. Do not hesitate to contact me for more information. Want to get in touch with Coen about his setup? Let us know, and will put you in touch! We thank Coen for sharing his experiences, and look forward to continuing our collaboration with him and his colleagues at Avans!